This armchair table has a modern, curved laminated teak table top that is easily adjusted in height and angle, enabling the user to read. For additional comfort, it comes with a stylish side table to accomodate refreshments, which can be fitted to either the left or right hand side of table. Internal width 35.5 ". Height adjustable 29.5 " to 36". The days over armchair table has a modern, curbed teak table top. 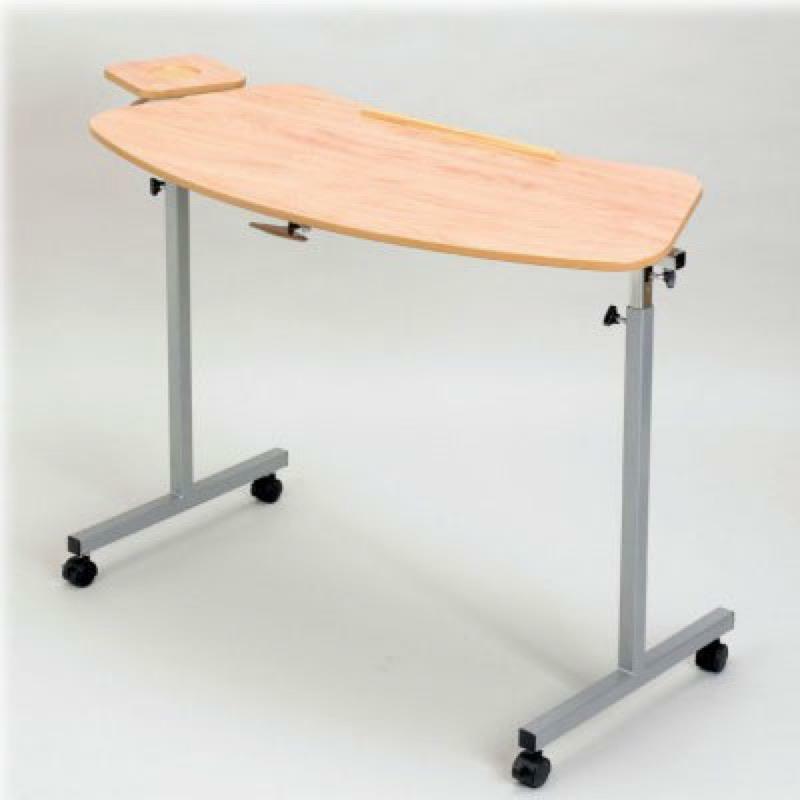 The tabel top is easily adjustable in height and angle. For additional comfort it comes with a stylish side table. Ideal to accomodate refreshments.